In a startling move, President Trump this morning fired US Attorney General Jeff Sessions. Technically, Sessions resigned by submitting a letter to the President. It was clear, however, that the move was forced by Trump. Sessions, who has been under intense criticism from the President ever since he recused himself from the Russia investigation, submitted his letter of resignation one day after the midterm elections moved the House of Representatives under Democratic control. 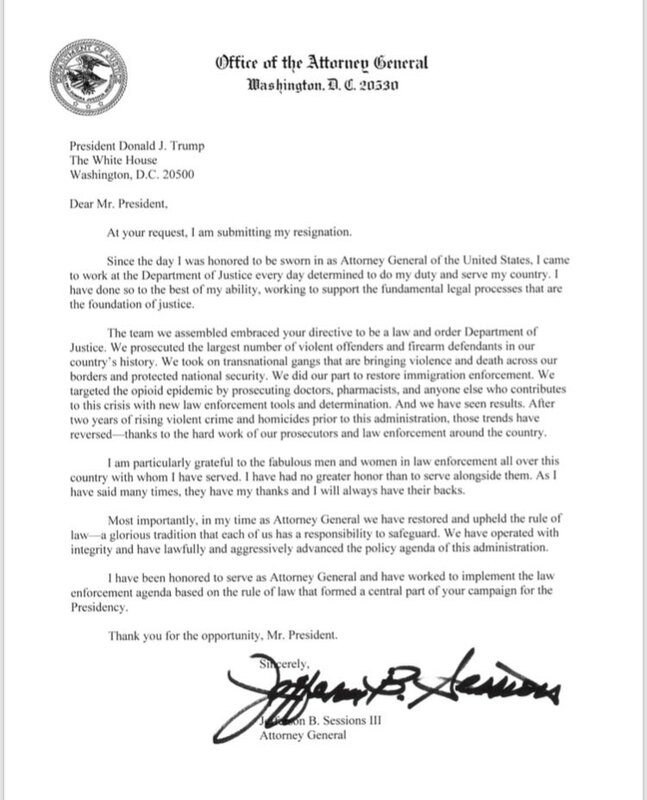 “Dear Mr. President, at your request I am submitting my resignation,” Sessions wrote in his letter. Sessions will be immediately replaced by Matthew G. Whittaker, previously Sessions’ chief of staff at the Justice Department. Whittaker will be the Acting AG until the President appoints a permanent replacement, who will need to be approved by the Senate. Since the day he was appointed to the office by President-elect Trump in late 2016, Sessions has been an outspoken critic of cannabis legalization in all of its forms. “I don’t think America’s going to be a better place if marijuana’s sold in every corner grocery store,” he added. Sessions talked a big game, but never directly attacked state cannabis legalization laws through the Justice Department. His boldest move was to rescind the Cole Memo, an Obama-era policy advisory that allowed states like Colorado and Washington (and now eight others) to proceed with state-regulated cannabis legalization. The loss of that memo and its policies, however, did not result in a widespread crackdown on cannabis businesses that abided by state rules and regulations. 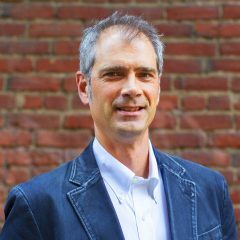 In fact, local US Attorneys have lately shown an inclination to prosecute cases involving cannabis that fall outside the rules and regs of legal states, thereby shoring up the state-legal system and removing bad actors who undermine the legal industry. The one thing Sessions did not do was protect Trump from Special Counsel Robert Mueller’s Russia investigation. Sessions recused himself early on from that investigation, as is standard protocol for an attorney general who might have a conflict of interest in the matter. It was a move that Trump never seemed to accept, and one that irritated the President, it seemed, almost daily. Sessions seemed to embody the drug war dead-enders who would listen to no evidence, scientific or otherwise, when it came to cannabis. While others of his generation—notably Sen. Orrin Hatch (R-UT) and Sen. Dianne Feinstein (D-CA)—came to change their opinion on medical marijuana and state legalization, respectively, Sessions continued to treat the entire issue as a hippie’s delusion. He was joined in that position by many local sheriffs organizations, which also remain a lonely stronghold of anti-cannabis sentiment. Those sheriffs departments also have been the most lucrative recipients of civil asset forfeitures based on cannabis possession, and also have been among the greatest abusers of the controversial mechanism. A record 66% of US voters support full adult-use legalization, and more than half have tried cannabis. More than 90% of Americans support the legal use of medical marijuana. Cannabis retailers are some of the most regulated businesses in America. In progressive California, for example, 65% of cities ban cannabis retail. Sessions publicly doubted legal cannabis could blunt the impact of the US opioid epidemic, even as more studies emerge indicating that legalization could help calm the crisis. 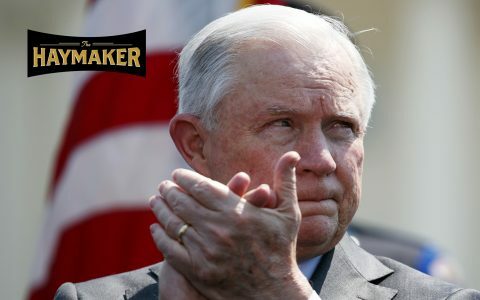 “We need grown-ups in charge in Washington to say marijuana is not the kind of thing that ought to be legalized, it ought not to be minimized, that it’s in fact a very real danger,” Sessions once said. Now other grown-ups will be in charge in Washington. It’s unclear whether they will spend so much time and energy fighting to hold back the tide. Meanwhile, investor confidence in the cannabis sector overall took a wild leap on the news of Sessions’ ouster. If you think Sessions was the only thing impeding cannabis legislation, I think you’ll be disappointed. It’s going to take a tectonic shift in both houses to get that passed – it’s still too demonized by your old guard. Let’s all hear it for DEFEATISM!!! It’s a winner! Prove me wrong. Not one move has come from Washington to get it off schedule 1 – let alone decriminalization. I’m not saying the US will never legalize – just that you’ll be late to the party. Do you see that spike on the cannabis index? Most are not like Sessions who is a control freak who makes “Personal” decisions. Most of those who are against cannabis will quickly put their personal feelings aside for the profit spikes on the chart. Another words, the cannabis fever has been unleashed and is no different than the “Gold Rush” or “Black Gold” oil rush. Profit will always dissolve personal feelings. Over a year ago when people were freaking out about Sessions, I predicted his demise easily. Money wins every time. That would be good, You better get your gov’t’s poop together in that case. The train is leaving the station. Finally the prehistoric cannabis criminal laws can be abolished with people in the mainstream thought process. Good riddance Jeff. 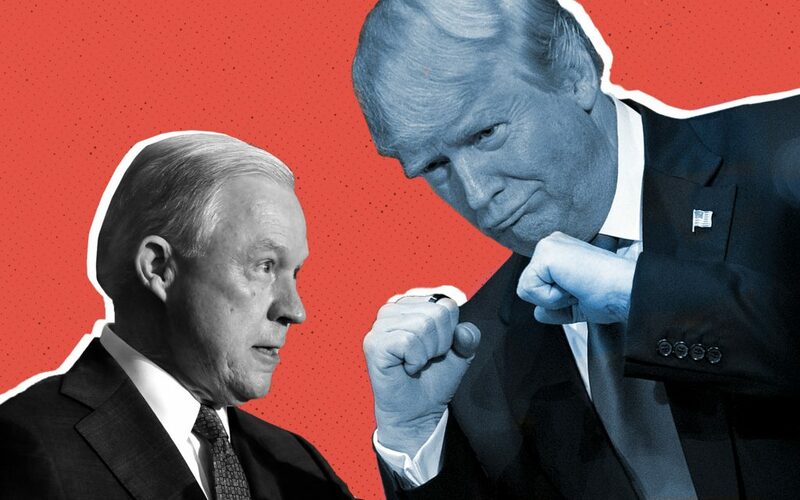 If you somehow think that getting rid of Sessions in an administration led by Trump is going to make any difference in marijuana legislation, you would be wrong. The guy Trump picked is even worse. Trump pick Whitaker is temporary so yes won’t make a difference one way or the other. He claims one role model is Rand Paul who is very pro cannabis so that can’t worse than Sessions. 2016 was a huge missed opportunity by Democrats. Trump needs to do this and make heads explode. For the record, Schumer has introduced a different legalization bill. If Jeff is ever so unfortunate, and I wish this on no one, to have a family member afflicted with a medical issue causing the need for pain management, he’ll be the first one in line to buy a volcano. When the options are narcotic pain killers (which do more harm than good) or medicinal cannabis…Jeff will finally get it. Alabama wants Cannabis legislation so those of living here don’t have to break the law helping our loved ones maintain some quality of life. A loving husband of 40 years who has to break the law in order to give pain relief to his wife. Some of us get no help from marijuana, sadly this means nothing but aspirin for me. Pretty much imprisoned now. Hopefully your state will come around soon. I live in a legal state. I moved there about 2 years ago. Ok so a little background here. I had brain surgery for a incurable condition called Arnold Chiari Malformation. That led me to some pretty heavy duty pain meds. I’ve been opiate free for almost the entire 2 years I’ve been here. I’m a daily cannabis user and I don’t take half as many pharmaceuticals now. What I’m trying to say is it has changed my life for the better and it should be legal federally. It’s a good start, but we still have work to do to remove the stigma. Many people don’t like the way it smells because so many people smoke “ditch weed”. It’s stinks to high heaven & permeates everything. If more people would try edibles & tea, they might find that they are less inclined to be judged on third use. But a step at a time. Let’s get it done. You kind of miss the point, Joan….we want freedom of choice, not more restrictions. Many of us prefer to smoke, instead of vaping or eating. Why should we stop because some people don’t like the odor? It’s not like we’re sparking up inside an elevator or restaurant. Those of us who live in legal states are not smoking ditch weed. We’re buying potent, dispensary weed that’s pesticide-free. Marijuana-legal states test the products for molds and pesticides for our safety. Tax revenue from the plant provides a massive windfall for cash-strapped cities. Colorado and Nevada, for example, provide $35 million or more per YEAR in pot taxes to local schools. Local law enforcement are now free to focus on real crime. Opioid use DECREASES where cannabis dispensaries operate. I could go on, but you get the point. Has he made a public statement to that affect? No? Then we can file this under all the other nonsense he spews.